Artwork > Fine art prints. 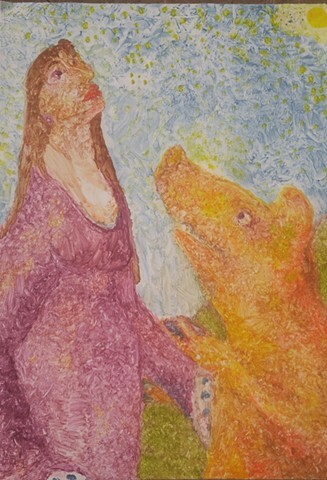 A pig beseeches a woman. Printed at Bedrock Editions in KC.